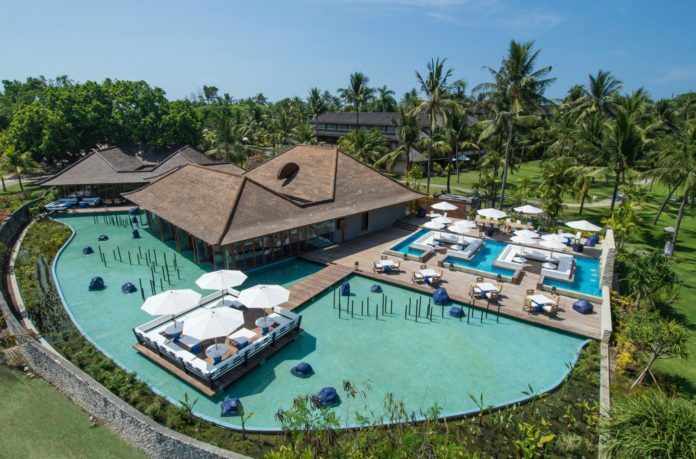 If there is ever a good time to get out of Melbourne and head to Bali, it has to be during the wet and windy month of July…but you know, really…any day of the year will do me just fine! 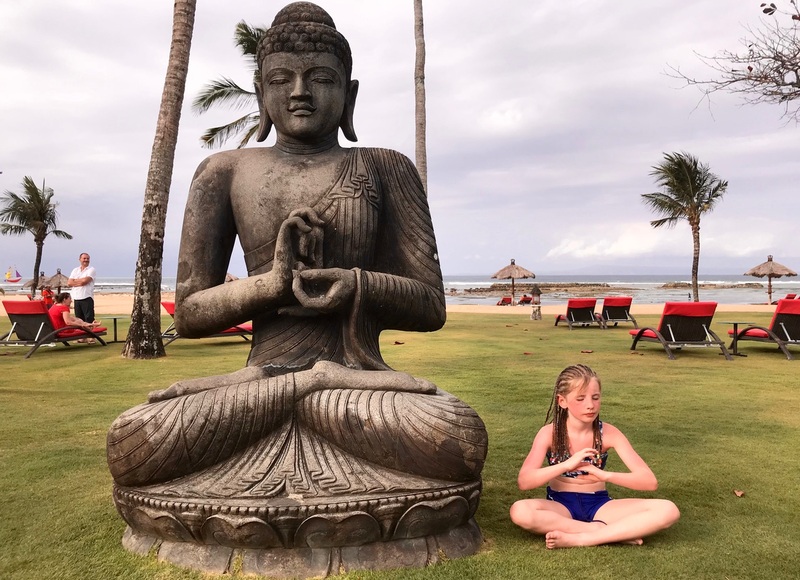 Last month my family and I stayed for a week at Club Med Bali’s Nusa Dua resort and I’m not exaggerating when I say my husband and I are already making plans to take the kids back there next year. 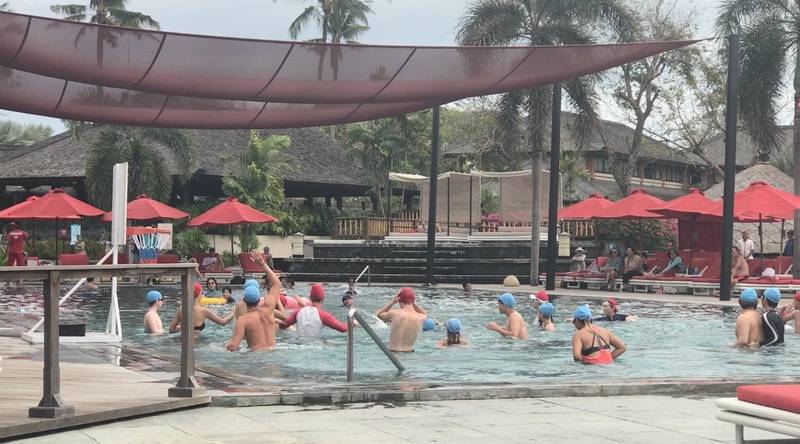 Seriously, if you are planning an overseas trip with children, and want somewhere that offers fun and adventure for the whole family, along with the opportunity for parents to rest and relax you really have to try Club Med. The interconnected rooms were perfect for our family of five, allowing us both peace of mind and the option for privacy. The rooms are tastefully decorated and lovely and clean. Seriously, is there anything better than climbing into crisp white sheets in a bed you haven’t had to make and launder yourself? I vote no. And the fact that I didn’t have to cook or clean for an entire week meant I was already half way to heaven! Whatever happened after that was just a bonus! Of course, there was just so much to see and do at the resort that we didn’t spend a great deal of time in our room at all, unless we were sleeping. Despite the nightly entertainment and party over at the main bar, we literally couldn’t hear a thing from our room in the Lombok wing – apart from the firework show. For families wanting a bit more space and luxury though there are 9 suites at the resort with a private terrace overlooking the gardens, but honestly, unless you have prams and a baby cot or the stairs are an issue for you, the interconnected rooms are great. I’m not going to lie to you. We were all excited at the prospect of a kids’ club. Some kid-free time sipping cocktails on the beach? …uh, yes please! But, it really was the highlight of the holiday for everyone. 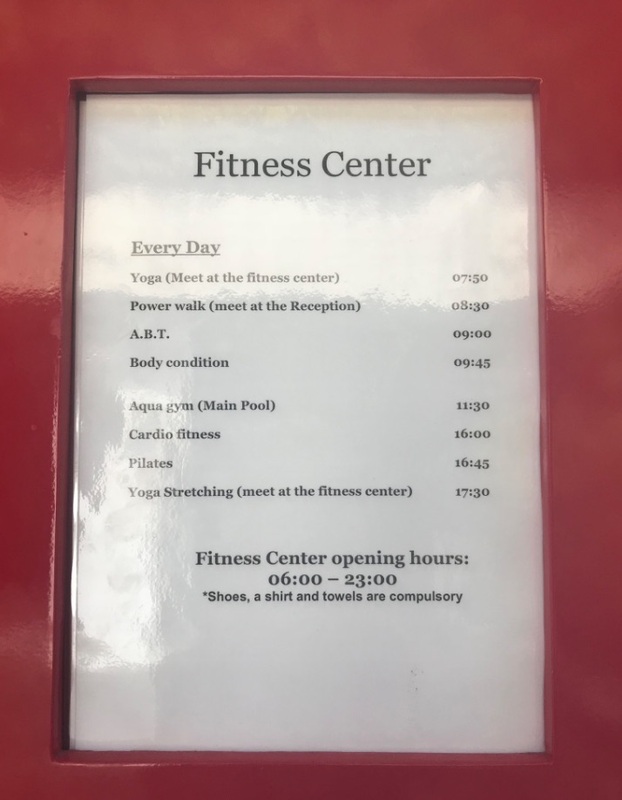 Once again, the G.O’s care and kindness was nothing short of exceptional, and the daily schedules meant that no matter what time of day it was, something fun was happening somewhere in the resort for the children. They could go for the entire day, or they could drop in and out depending on our plans. 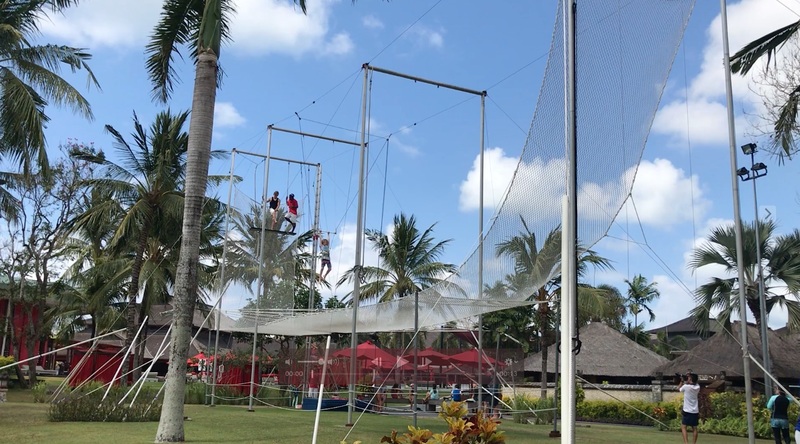 The children wear a harness on the trapeze and the G.O’s teach them how to swing themselves up and hang upside down before landing safely on the net below! So awesome! 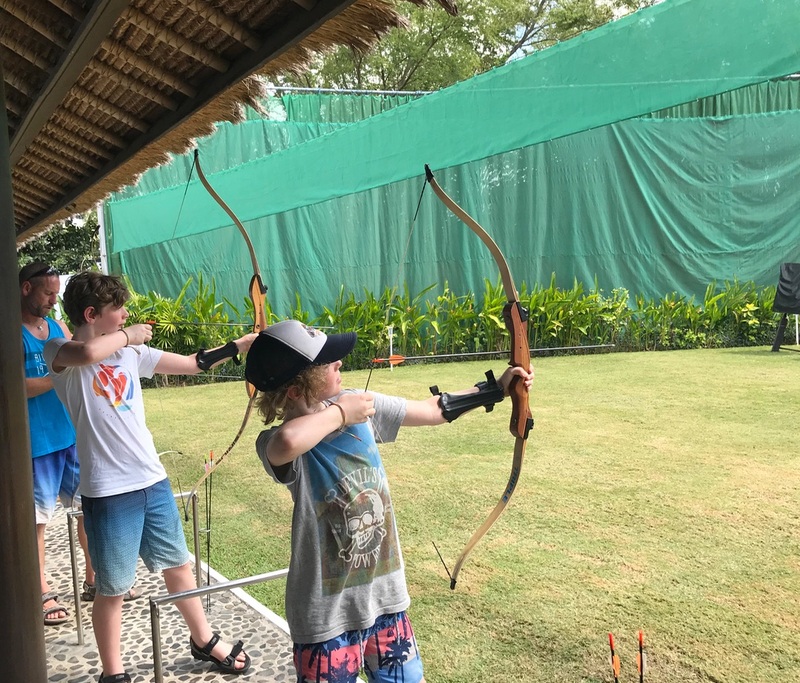 The kids club activities included the bungee trampoline, the circus trapeze, soccer, mini golf, archery, swimming, tennis, movie time, outdoor games, practising for the talent show, kayaking, slip n slide, sand castle building…honestly, there was never a dull moment. Best yet, it was all included in the price of our stay! (I must say, not being nagged for money or worrying about what spending money we had left was another personal highlight of our Club Med stay for me – and the reason why we will definitely return to other Club Med or all-inclusive holiday destinations in the future). 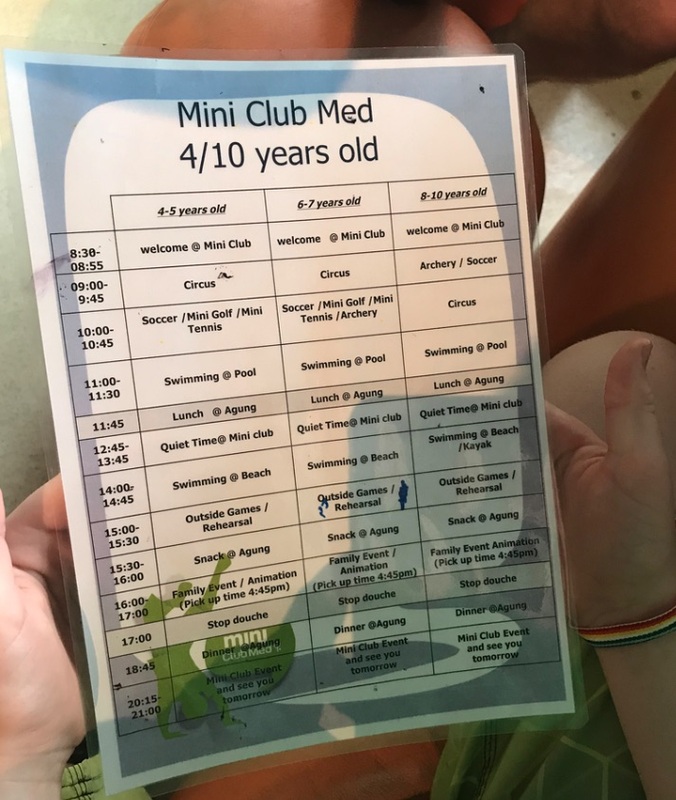 My eldest son, (11 years old) went to the Junior Club (for 11-17 years old) and they had a similarly full itinerary where they did similar or age appropriate games and activities e.g. playing pool, table tennis, archery, water basketball, bungee trampoline, trapeze etc. 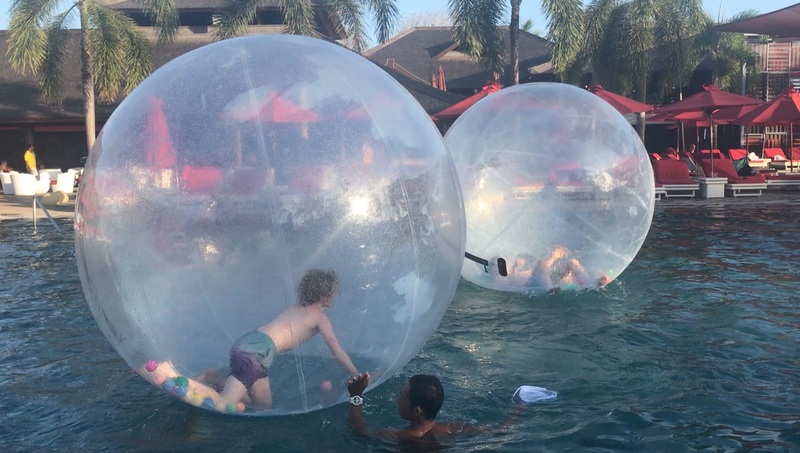 Related Read: 12 Awesome Ways Club Med Bali Take the Stress Out of Holidaying with Your Baby or Toddler. Organised team sports – fun for all! Look how rested and relaxed I am when I get a break from the cooking and cleaning! My family do love a good breakfast buffet! So you can imagine how much they loved a buffet for breakfast, lunch and dinner! The Agung restaurant offers an extensive spread of Indonesian, Japanese, Indian, Italian, Western and Korean cuisine, so finding something to suit everyone’s taste was a breeze. 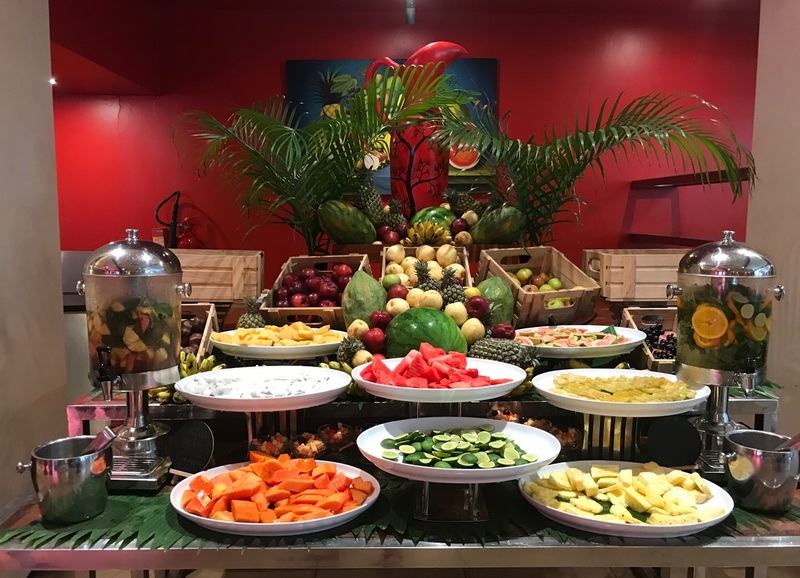 Whilst I couldn’t get enough of the delicious Indian and Indonesian food, I think my husband ate his body weight in seafood that week…and don’t even get my kids started on the chocolate fountain! 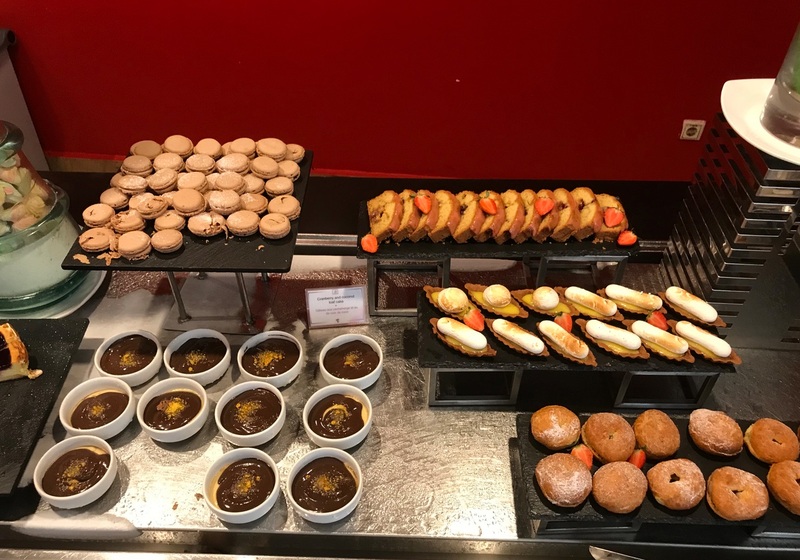 There is a different menu every day, at every meal…and desserts to die for! 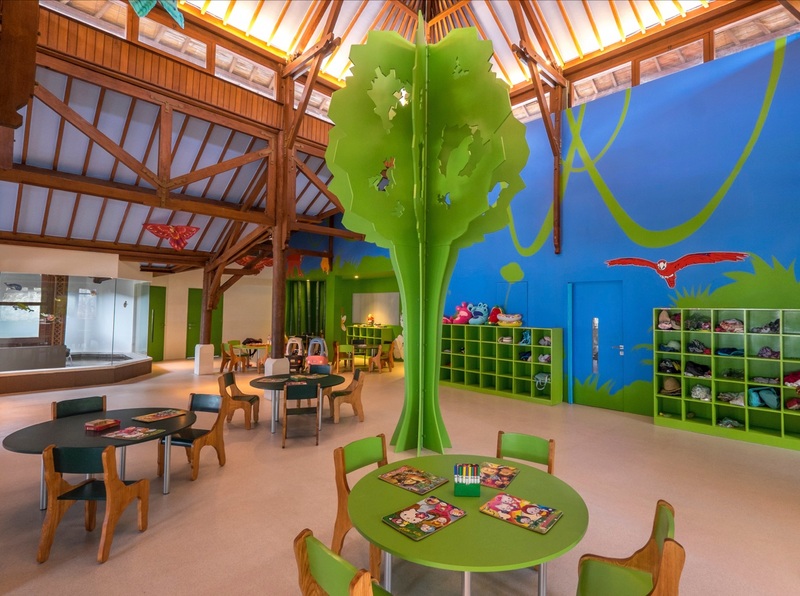 Kids are not the only ones that get to have all the fun at Club Med! 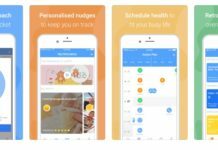 Adults can get in on the organised events too! 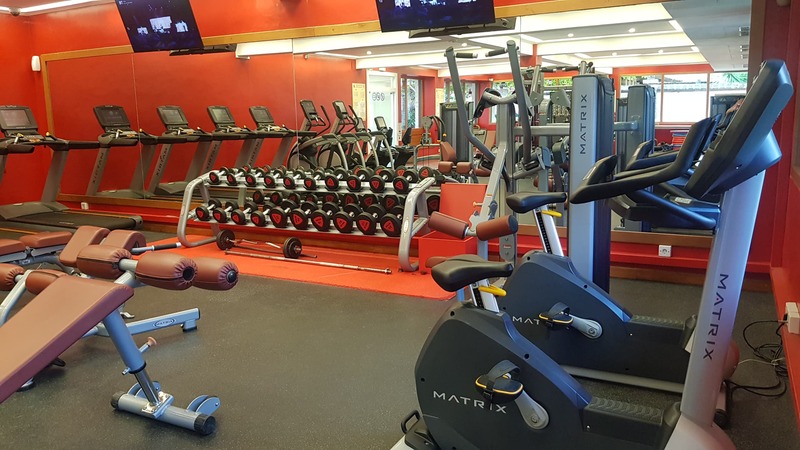 There are tennis courts, a basketball court, archery, beach volley ball, darts, table tennis, yoga, walking groups, Pilates, water aerobics, and cardio classes all at no extra cost…you can even give the trapeze a go if you ‘re game! There are also water activities such as kayaking and snorkelling that are also included in your tariff, so there really are no shortage of things to do! 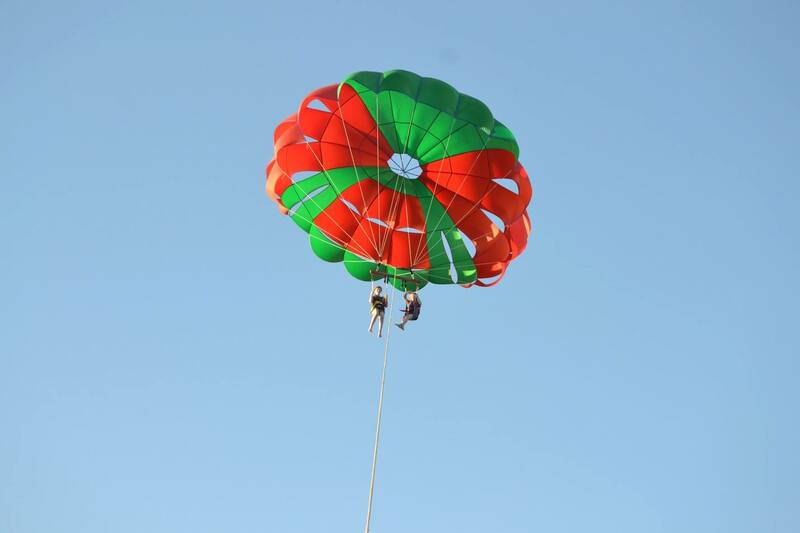 There are also things you can do that do involve additional costs, such as a visit to the Club Med Spa for a massage or beauty treatment, jet skiing, parasailing, or having a turn in the hamster ball poolside! Watching the kids trying to run in the Hamster Balls was hilarious! There was a family-friendly show on every night at Club Med Bali. Some nights the kids were involved in talents shows, or showed off their Balinese dancing skills on stage. It was so much fun to watch, and the fun atmosphere and confidence the kids displayed really was a testament to the patience and hard work of the G.O’s in making it all happen. The energy and enthusiasm they bring every day is nothing short of amazing, and they build a real rapport with the kids in their care. One of the stage shows we watched over the pool was incredible and featured some stunning acrobatics, drama, music, and even a flame show. Each night had a different dress code that guests could follow if they chose, which really gave the after-show party a fun vibe, and it’s impossible not to join in when the G.O’s get started with their synchronised dance steps! 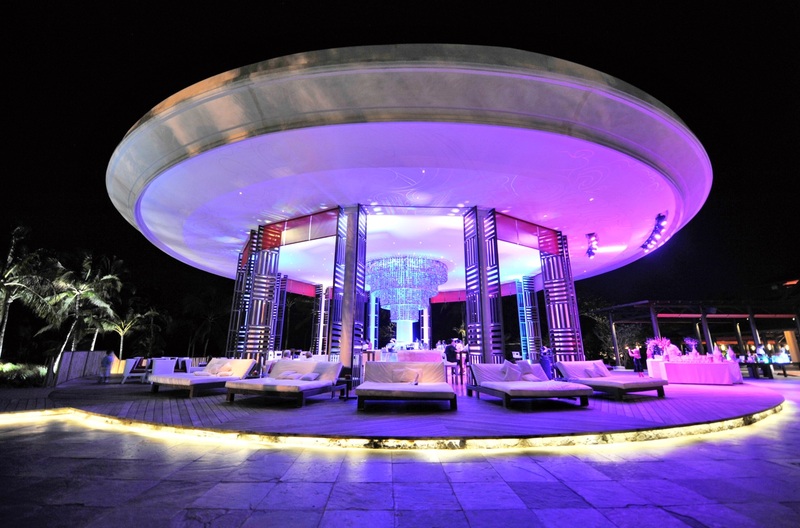 Club Med Bali is set on 14 hectares of beach front land in Nusa Dua. Within the resort you have access to the private beach, gorgeous gardens, a large pool, a n adult-only zen pool and pretty lily-pad mottled ponds. It’s beautiful. Seriously, if you can’t find a little nook to relax and feel at peace here, you never will. You could easily spend a week or more at the resort without getting fed up, but if you do want to get out for a spot of retail therapy, Kuta is a short 30 minute taxi ride away. I will say though, after a few hours of being harassed to buy things from everyone you happen to make eye contact with, it’s nice to retreat back to the resort. The Club Med Excursions office can also help you plan excursions to nearby attractions too, although we didn’t end up doing half the things we thought we would. 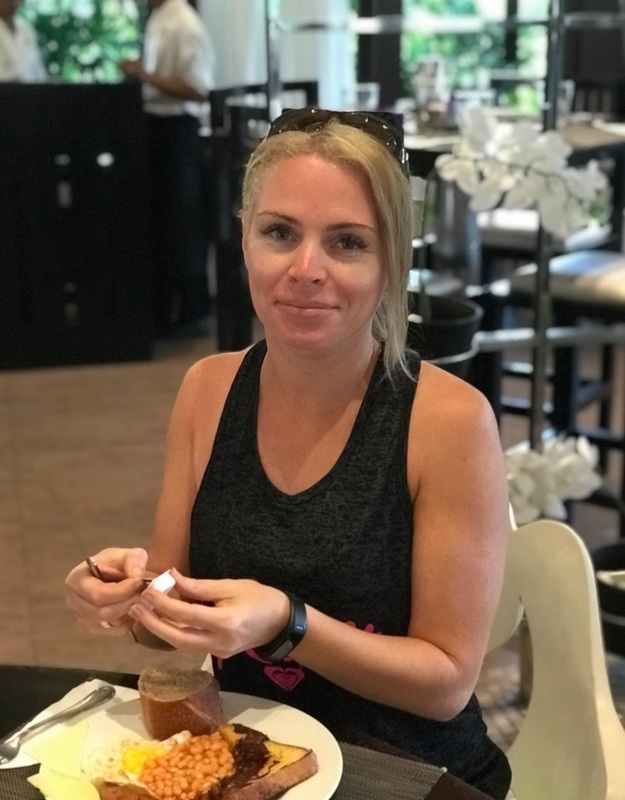 My husband and I wanted to take the children to the Monkey Forest in Ubud one day, but after hearing it was a couple of hours drive away in a taxi, all three kids nagged to stay at the resort so they could hang out with their friends instead! 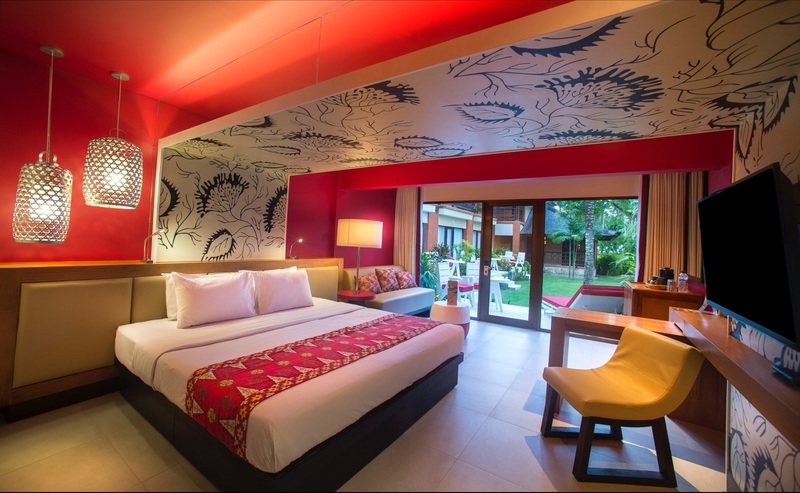 We did hear whispers that Club Med are building a new resort in Ubud though, so perhaps we could visit both resorts next year when we return and actually make it to the Monkey Forest. If you ask my husband what he loved most about Club Med Bali, I’d bet the first thing that would come to his mind would be the service. It didn’t matter whether we were on the beach, or beside the pool, one of the lovely waiting staff would be there before we reached the bottom of our drink to offer a fresh one. Similarly, the kids LOVED being able to order themselves a Fruit Punch or a Blue Dolphin mocktail. 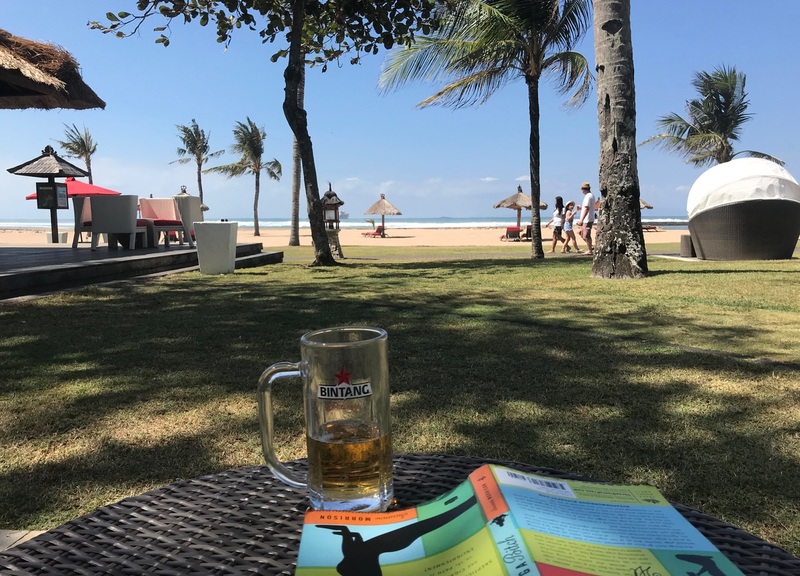 Enjoying a Bintang beer and a book at the beach bar. Whilst there were some premium drinks that you could purchase, the all-inclusive drinks menu was extensive and included beer, wine, spirits, cocktails, mocktails, hot drinks and juices. So, unless it was a special occasion and you wanted to break out a bottle of bubbly or something, there was absolutely no need to spend anything on the bar during the stay. The G.O’s (Great Organisers or Gentile Organisateur) are nothing short of incredible. They are warm, friendly and work very hard to make your stay as enjoyable as possible. Amazingly, despite how many people they must see at the resort, we didn’t meet one G.O that didn’t remember all of our names after meeting us for the first time. At the end of our stay, as our luggage was loaded onto the bus that was transferring us to the airport all of our favourite G.O’s and the Village Chief Jeremie Gonzalez, came to farewell us and the other guests – which was an unexpected but really lovely touch! We made some great friends, and can’t wait to return again next year. 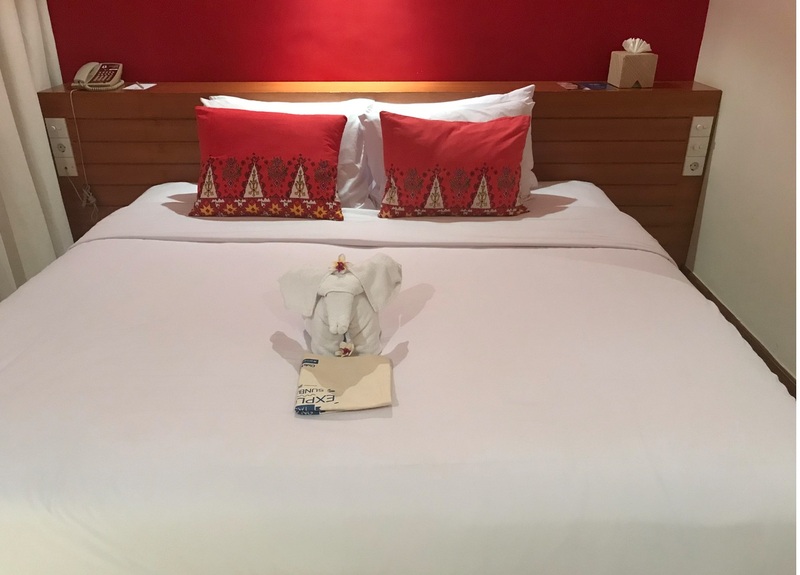 Disclosure:My family and I stayed at Club Med Bali as guests for the purpose of providing an honest review. All thoughts and opinions expressed here are my own. Seriously…the only thing I didn’t absolutely LOVE about this place was the coffee, but you know…who needs coffee when you can order a poolside cocktail, right?! 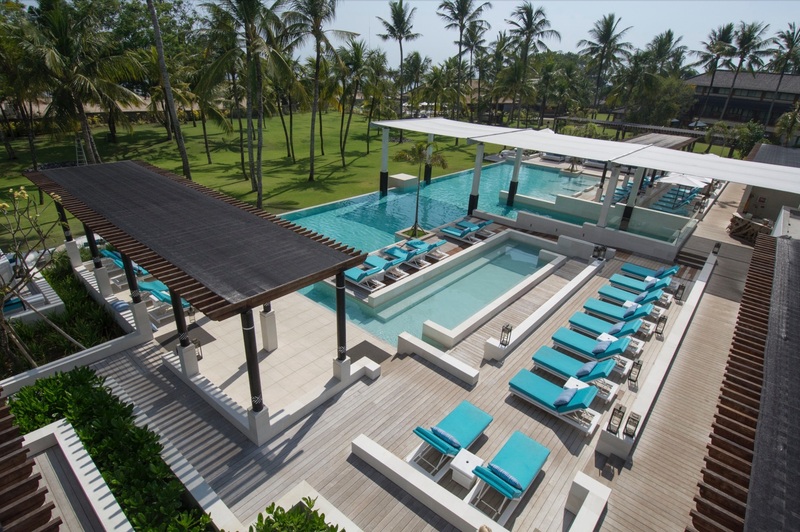 Whether you’re looking to kick-off your summer early or plan ahead for 2019, Club Med has a deal for you. 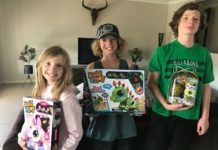 Visit TravelExtra.com.au to book your next family getaway! Club Med are giving one lucky family the opportunity to win an all-inclusive holiday to Club Med Bali (family of 4) for 7 nights. Please note: Winners are responsible for the cost of their flights to and from the destination. For your chance to win please complete the entry form below.